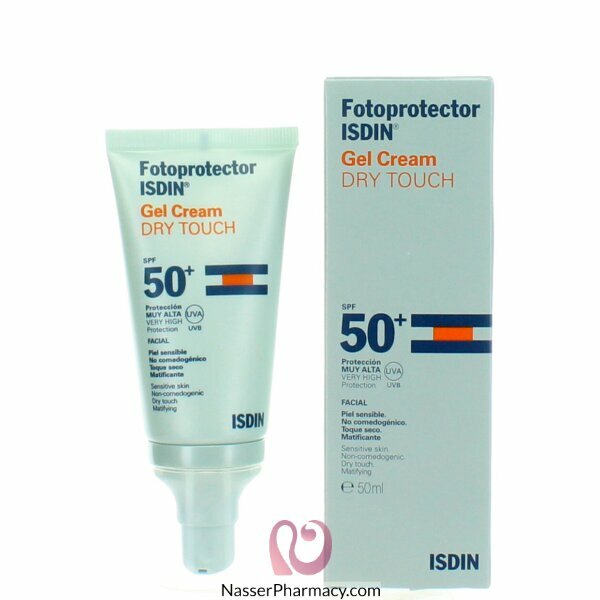 "Fotoprotector ISDIN Gel Cream Dry Touch SPF 50+ Daily protection, for normal, combination and oily skin types. Provides a dry-touch matt effect, suitable for normal, combination and oily skin types. Unifies your skin tone and conceals imperfections. Non-comedogenic. Apply liberally to dry skin half an hour before sun exposure. Reapply every 2 hours, or after sweating, swimming or drying with a towel yourself. Apply 2 mg/cm² of the product. Reducing this quantity will reduce the protection factor. "